When it comes to antivirus technology there are so many options to choose from. making the selection process overwhelming. Bitdefender stands out in this crowded market by providing every security feature a user could ask for without sacrificing computer performance. 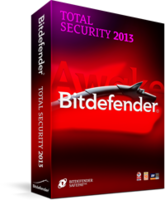 Bitdefender is ASecureLife.com’s choice as the best antivirus software program. We take an in-depth look at the services offered, Bitdefender reviews and the features that help this program stand ahead of the rest. Summary : Bitdefender's antivirus protection is exceptional and has top ratings from all testing labs. The software does have a minimal impact on your system's performance and they don't offer iPhone or iPad protection. But their security is among the best available. There are a number of features in Bitdefender Antivirus Software that can be helpful in determining whether this is the right antivirus software solution for you. Below are some of the highlighted features included in all of their main products. Has antivirus, anti-malware, browser exploit, anti-trojan, anti-worm, anti-spyware, anti-rootkit and anti-phishing protection. Antivirus Plus, Internet Security and Total Security are currently the three main Windows-based antivirus services available from Bit Defender. Each of these services offers different degrees of protection, and each provides the user up to three years of protection for up to 10 PCs. Bitdefender Antivirus Plus offers a lot of features that other antivirus software providers don’t include in their entry-level software. And It’s been rated as a top antivirus software from a number of reputable organizations, including AV-Comparatives and PC Magazine. $39.95 for a single PC for one year of protection. Up to ten PCs can be protected for a year at a cost of $159.95. $89.95 for a single PC with protection for three years. Up to ten PCs can be protected for three years for $339.95. $59.95 for a single PC for one year of protection. Up to ten PCs can be protected for a year at a cost of $209.95. $129.95 for a single PC for three years of protection. Up to ten PCs can be protected for three years for $479.95. $69.95 for a single PC for one year of protection. Up to ten PCs can be protected for a year at a cost of $229.95. $159.95 for a single PC protection for three years. Up to ten PCs can be protected for three years for $499.95. Once you have added the product of your choice to your shopping cart on the Bitdefender website you will also be offered the opportunity to add optional services. The prices below are per year. Bit Defender has a couple of multi-pack options that could save you money in the long run if you compare your individual needs for certain features, types and number of devices, and level of protection. The Bitdefender Total Security Multi-Device package includes its Total Security, Mac and Mobile Security (Android only) software all-in-one. Using Bitdefender’s unique reflective machine-learning algorithms, you’re at once protected on all three platforms. Pricing ranges from $99.95 (up to 5 devices for one year) to $279.95 (up to 10 devices for three years). 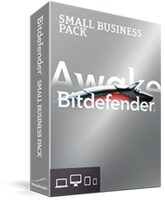 Bitdefender’s Small Office Security protects small businesses with up to 250 PCs, Macs and servers. You can have Bitdefender host the hardware or you can maintain it in-house. For $143.50, you can have it for 1 year for up to 5 seats. Bitdefender now offers a separate software solution for Android smartphones and tablets. An independent testing lab, F-Secure Corp. reports that in 2014, 99% of new mobile malware threats were designed for Android. Check out this video to see how to keep your Android devices virus free. What are some bitdefender reviews from actual users? As part of our review process we scour online forums and customer reviews to see how real users rate the products. Here’s a sampling of positive and negative consumer reviews about Bitdefender’s 2015 software. 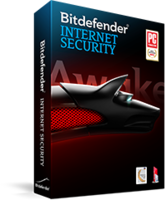 Bitdefender often has sitewide sales, click here to see the most recent offers. Which Bitdefender Product Is Right for You? Choosing the right Bitdefender product is a very personal decision and should be based upon your personal computer use. For those who utilize their computers for nothing more than basic email checking, the basic Bitdefender virus protection is ample. If, however, you are frequently downloading items and receiving multiple questionable emails that your email SPAM filter is unable to catch, then you may want to look into a more rigorous Bitdefender program. Has Bitdefender lived up to its protection promises for your devices? Share your experience.